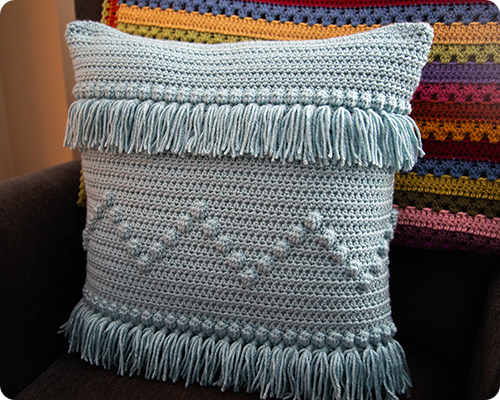 As far as I am concerned, you can never have too many pillows, especially if they are crocheted. Am I right? The latest addition to my pillow collection is my Funky Fringe Pillow. 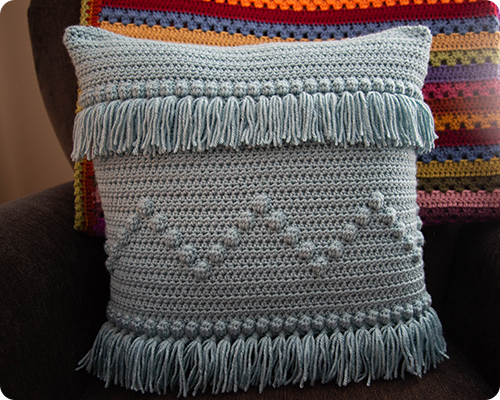 I worked on this pillow throughout the fall, finished all the pieces, and then set it aside for a considerable while before deciding one afternoon in the lull between Christmas and New Year's to finish it up, sewing it together and making and attaching all the fringe. The bobbles and the fringe are my favorite. 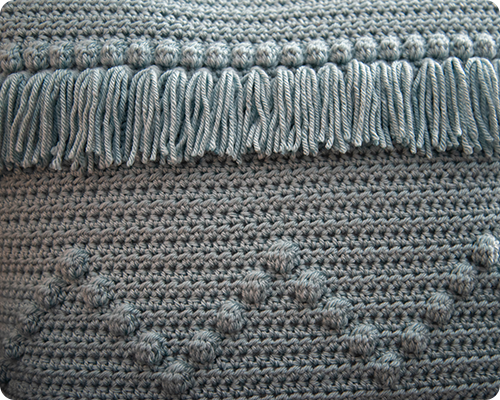 This was the very first time I ever worked the bobble stitch, and I love the texture that it gives the finished fabric. 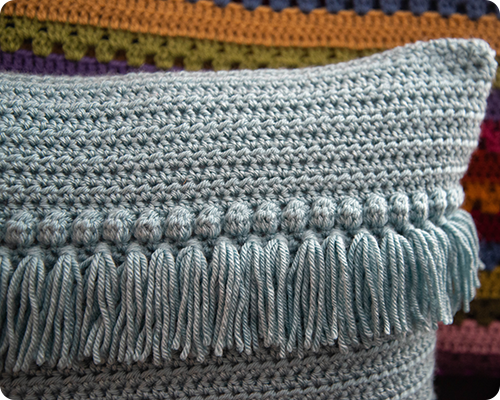 My pillow currently lives on the living room chair, nestled up against my Cosy Stripe Blanket, and adds some much appreciated color to the room on these dark, dull winter days. And it has been dull. I mean, there have been a few moments of sunshine (thank goodness, because that made picture taking more successful), but all in all it has been quite dreary. In an effort to embrace the season, I am trying not to complain about the lack of light, but rather light a candle, put out my colorful crochet blankets and pillows, and snuggle into the couch to crochet a little more (I have just finished another blanket, and have a new pillow on my hook). It's all about embracing where things are at, and adding some colorful and funky crochet to the mix does not hurt either.